Sell to Us Price: $14.85 each. The greatest advantage of silver bars is that they are a very low premium way to invest in silver. Buying either 1 oz silver bars , 10 oz silver bars or even 100 oz silver bars online or over the phone through Money Metals Exchange allows investors to obtain the best silver prices and gives them the ability to sell in the future while also avoiding mark-ups from local dealers. One can buy a bar of silver in 10, 100 or 1,000 ounce forms. They are also commonly used as industrial products. Although not as practical for day-to-day bartering or as highly liquid as Silver Eagles, or pre 1965 dimes, quarters and half-dollar 90% U.S. coin bags ("junk silver"), silver bars are widely recognized throughout the world. Meanwhile, like other .999 silver bullion products, silver bullion bars can be legally held in a precious metals backed IRA account, and they are especially practical for this purpose. 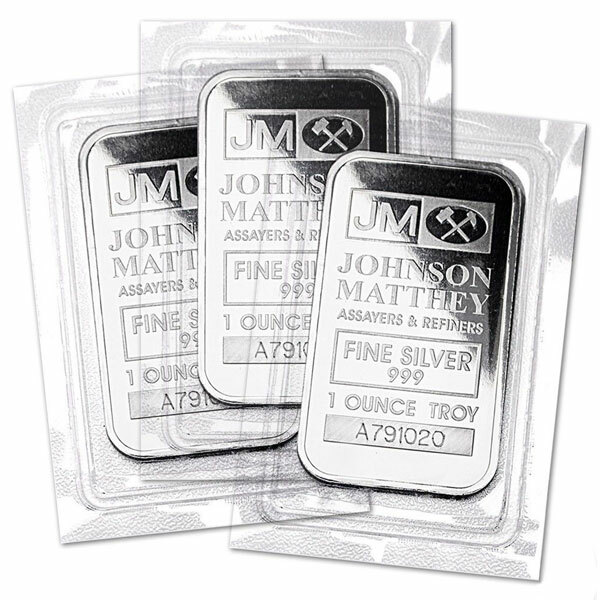 Johnson Matthey is a premier US refiner whose products are among the most popular for investors seeking recognizable and trusted bars. The bar form is ideal for stacking compactly in safes and deposit boxes. Silver bullion bars should always be stamped with their weight and purity and are often identified and hallmarked with the insignia of the producing institution. Our current buy pricing is $14.85 each and we will buy up to 2,500 ounces at this price. Simply call us on any weekday to lock pricing at 1-800-800-1865. I have been a monthly purchaser for getting close to a year and have always had excellent service. When the opportunity came to purchase some additional product in the 1oz Johnson Matthey bars, I didn't hesitate. Overall, the value I receive as a regular customer of Money Metals is top rated. I have always felt that I mattered to them as a customer, no mater the size of my order. I highly recommend their monthly purchase program for anyone looking to add diversification to their investment strategy. I am extremely impressed with the service I've received with MME. I ordered these bars, and within 48hrs received my shipment! All of the bars were in individual sealed packaging, and again, super fast shipping!! This is my first time purchasing from MME so my first impression is 5 Star! 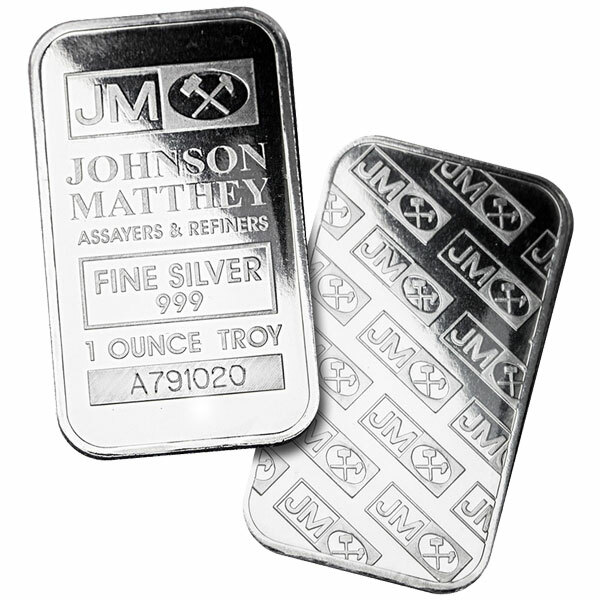 You can now sell your Johnson Matthey 1 Oz Silver Bars back to us online, at a price of $14.85 each!